The Vanishing is an intriguing and enjoyable historical mystery centered around the secretive Marcus Twentyman. Annaleigh Calvert is a foundling, an orphan, newly appointed as Housekeeper to the mysterious White Windows upon the Yorkshire Moors. Arriving from London having left her adoptive Father behind in pursuit of a career, Annaleigh struggles to make the transition from bustling London to quiet countryside. White Windows is a residence steeped in mystery, intrigue and darkness. The previous housekeeper seems to have left under a cloud and Annaleigh is curious, particularly when the other staff are warning her not to ask questions and not to get too close to the Master, Marcus Twentyman. At first Annaleigh is a little offended. Why should they question her virtue? Trapped at the mercy of the Twentyman's Annaleigh must decide her future for herself, does she risk her life by fleeing, or does she resign herself to a fate much worse than that by staying. 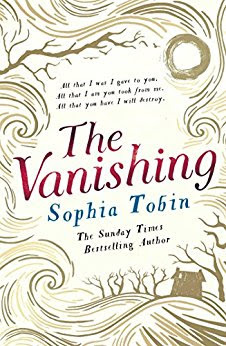 The Vanishing is a very clever novel that feeds you tiny bits of information at a time, until you are desperately wanting to know more. Separated into three parts, the tension of the novel builds to its dramatic conclusion. This is a novel for any historical fiction lover, you won't be disappointed. The Vanishing is available now Amazon online and all good book shops.